Trying to get your kid interested in a career in STEM? Well, don't let Barbie do all the work. The City of STEM Launch Event, along with a month full of activities and events following the festival, will be aimed at educating and engaging people of all ages to celebrate Greater LA's continued leadership in STEM. The April 6th Launch Event will kick off their 30 day celebration of all things science, technology, engineering, and math (STEM) in L.A. County. "Los Angeles is an innovation incubator — a place where the world comes to develop new ideas and pioneer groundbreaking technologies," said Mayor Eric Garcetti. 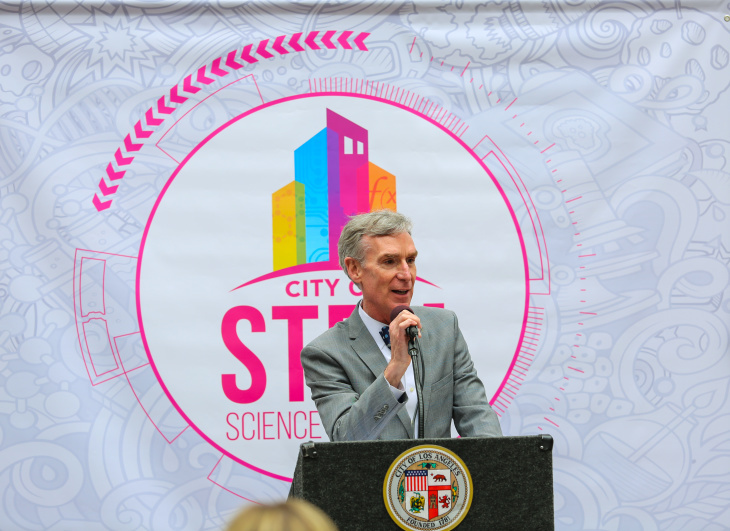 "City of STEM is an opportunity for L.A. to showcase a science, technology, and engineering ecosystem that is creating new opportunities every day and putting L.A. at the center of a global movement to envision tomorrow and build it today." With nearly 100 exhibitors and interactive STEM activities from dozens of organizations around Southern California, there will be a lot to do indoors and outdoors at this science festival. Special guests include Bill Nye, Marvel Studios, Jason Latimer from Impossible Science!, and the rock band OKGo's Sandbox experience. City of STEM will also be awarding their ICON award to Diana Trujillo, a Columbia-born aerospace engineer who works with NASA's Curiosity rover mission (the successor to the Opportunity rover - #RIPOppy). VR experiences, a 50-foot Space Shuttle bounce house, live music, food trucks, and much more will all be found at the Columbia Memorial Space Center, where the event will be hosted. This event is free to attend, and free offsite parking and shuttle will be provided. Parking details can be found here.